Few weeks ago, British Airways (BA) placed a very creative interactive billboard in Piccadilly Circus, London. 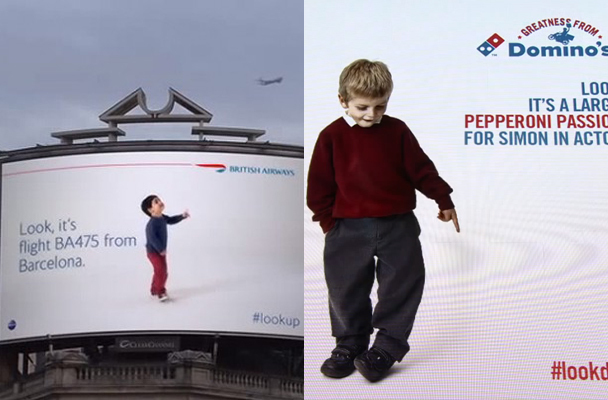 The #LookUp digital billboard shows a kid interacting in real-time with BA planes flying over. It will also tell you which flight it is. A great marketing move that tackles one of the actual trend in the industry: Real-time marketing. The coolness and creative factors are the main reasons behind the virality of this campaign as the promo video reached nearly a million views to date. Next Post Beldent Proves Chewing Gum Makes You Socially Better!